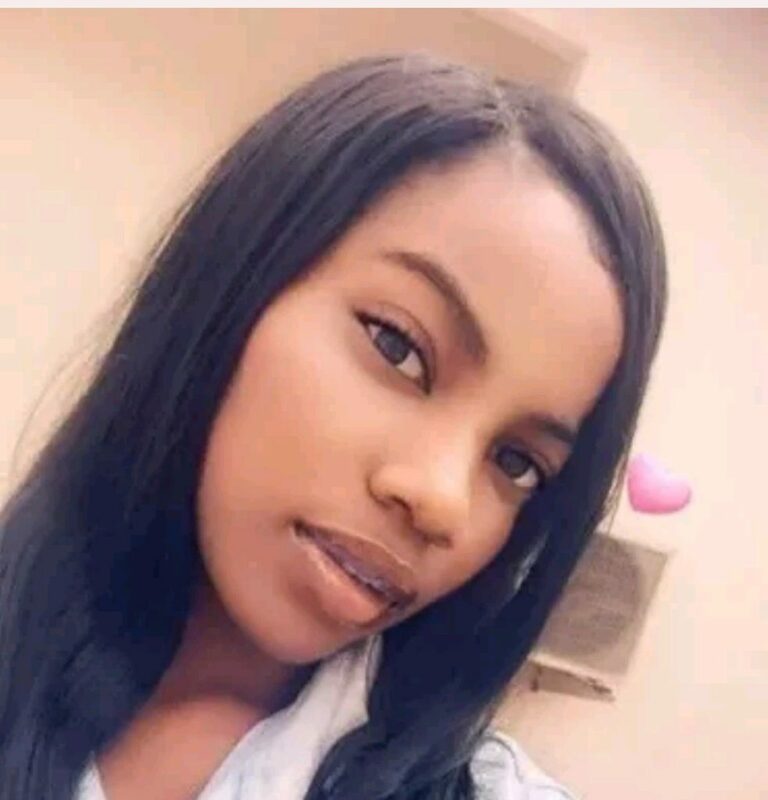 A Nigerian lady has taken to Twitter to reveal why her bride price must be paid into her bank account. Her demand goes a long way from traditional which sees that uncles and relatives of a bride receive the bride price and share it amongst themselves. However, the lady in question sets to break from the norm. According to her, her uncles were not there when she was going through hell in the relationship, so therefore they don’t deserve to take the bride price which she believes should be paid into her account. no matter how civilized we may claim to be,our tradition can never be modified not to talk of changing it.paying bride price to the brides family is our tradition which can not be tampered. Correct bae..Na you sharp past..me I cannot come and fight on top my money better may them pay am directly to the owners account. Since no one was there when she was going through hell in the relationship as she claims . she might as well move in freely with the guy without acknowledging any one in her family after all it is her life. The purpose of bride price other than honoring your parents and respecting tradition is to also show that you belong and come from a family with values. since she is set to deny that fact she should just move in without bride price and enjoy heaven in marriage after going through hell in the relationship as compensation to herself. How much is even the bride price self, this is tradition and there is blessing and joy in it. She claimed to pass through hell in the relationship is that the end of the road? she has her best reasons of saying that but traditions does not see it that way she should just abide to the way it is. The northners collect their bride price,I really envy this,my sister I know you are not a northerner,too bad your people will not change their age long traditions because of you. Her demand goes a long way from traditional which sees that uncles and relatives of a bride receive the bride price and share it amongst themselves. Every decision has someone has made has a pain or lesson he or she has learnt from it. Sometimes we tend to make drastic decision because of the drastic pain we went through. This is a very funny story, but she has to follow the right no matter. My dear just give it up and let them have it. According to her, her uncles were not there when she was going through hell in the relationship, so therefore they don’t deserve to take the bride price which she believes should be paid into her account. 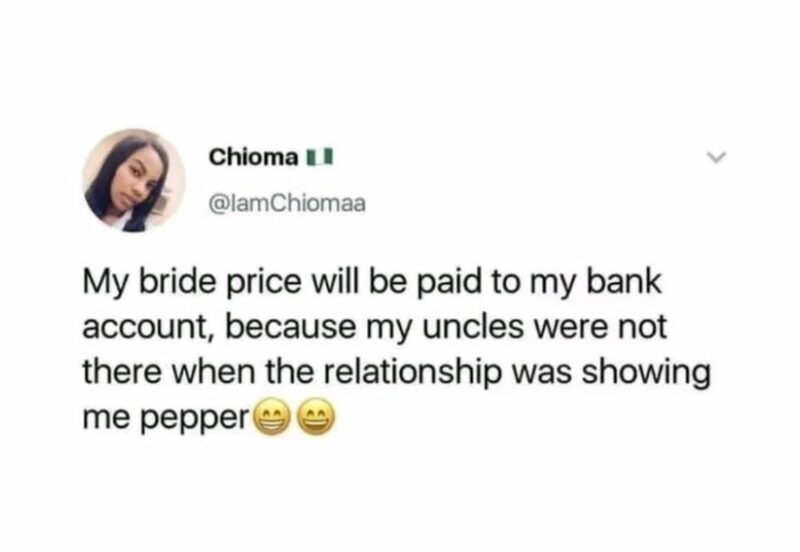 r, her uncles were not there when she was going through hell in the relationship, so therefore they don’t deserve to take the bride price which she believes should be paid into her account. Wonderful. She has to allow her relatives have a share in her bride wealth for her to get their blessings which is very important. I hope somebody advises her on the way forward. Wonder shall never ends the families you are talking about raised you probably sent you schooling so they deserve more. You better shot your mouth before you miss both maternal and paternal blessings… Your story will not be different, abi you be oyinbo wey no get culture ne? Congratulations to tiger woods for winning the championship, more wins for him and more prosperity to come. Hahaha funny girl, I dey with you biko. But no let your papa hear oo. It’s tradition my dear and we can’t change it. So allow ur uncles get their dues right. See serious matter! Well, if her reasons are that, her uncles were not there when her parents were training her, that’s understandable. You can’t eat your bride price girl, it’s never done. this is abomination my dear, it’s not done anywhere!! no matter what happened in your relationship and no matter what your uncles did to you. forgive.